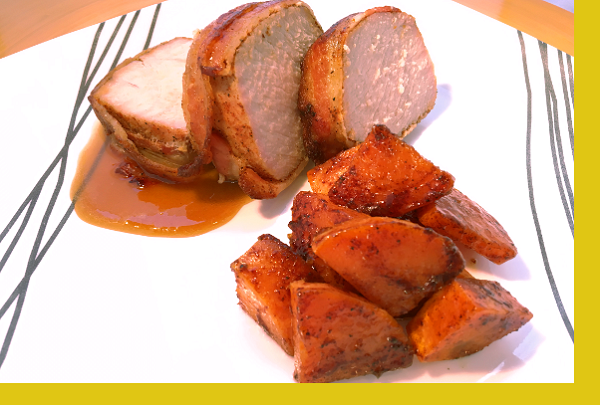 Pork tenderloin seasoned with a dry rub then wrapped in bacon and finished with a sweet cider glaze for a perfect mix of heat and sweet on your palate. Served with sweet potatoes. Preheat oven to 375F. Coat a pan with oil and heat on medium high heat. Sear pork on each side then place in provided pan. Bake for 25 minutes or until cooked to desired wellness. 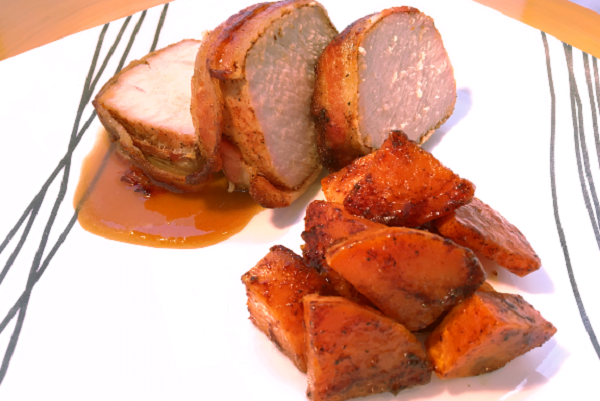 Pork was delicious but the sweet potato chunks were way to big to cook in the time allotted. We gave up on them. Excellent dish! We can't wait to have it again!